Have you ever had a day when everything went wrong? Sometimes the day seems to consist of the one disappointing event after another. These disappointments can be called “hope breakers”. Hope breakers can lead to outright discouragement if they persist. Which of these hope breakers seem familiar to you? Hope can be overcome discouragement. Hope reminds you of a brighter future. 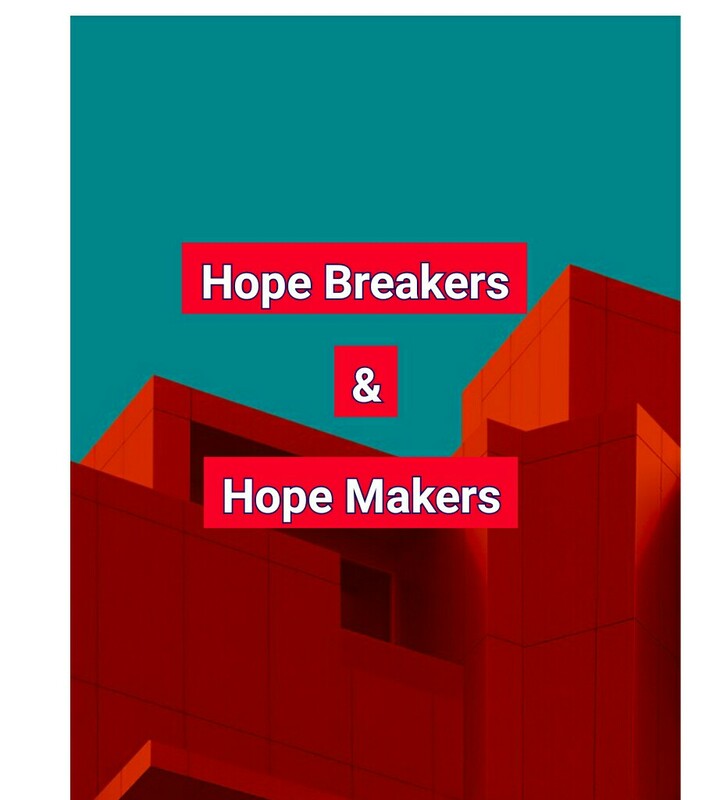 Which of the events below “areas hope” makers to you? John offered reassurance and hope to Christians who had experienced too many hope breakers. Read John's hope -making ideas in 1 John 5:1-15. 1NIV:Everyone who believes that Jesus is the Christ is born of God, and everyone who loves the father loves his child as well. NIV:This is how we know that we love the children of God: by loving God and carrying out his commands. NIV:for everyone born of God overcomes the world. This is the victory that has overcome the world, even our faith. NIV:Who is it that overcomes the world? Only the one who believes that Jesus is the Son of God. NIV:This is the one who came by water and blood—Jesus Christ. He did not come by water only, but by water and blood. And it is the Spirit who testifies, because the Spirit is the truth. NIV:the Spirit, the water and the blood; and the three are in agreement. NIV:We accept human testimony, but God’s testimony is greater because it is the testimony of God, which he has given about his Son. NIV:Whoever believes in the Son of God accepts this testimony. Whoever does not believe God has made him out to be a liar, because they have not believed the testimony God has given about his Son. NIV:And this is the testimony: God has given us eternal life, and this life is in his Son. NIV:Whoever has the Son has life; whoever does not have the Son of God does not have life. NIV:I write these things to you who believe in the name of the Son of God so that you may know that you have eternal life. NIV:This is the confidence we have in approaching God: that if we ask anything according to his will, he hears us. How do the breakers and makers above compare with the passage? What phrases in this passage offer you the most hope? Writing out the promises and assurance in this passage. Stick the list up on your door. Acting as a hope make to a discouraged friend by offering encouragement time or help. Bowed beneath the chast’ning rod! Countless woes my soul oppressing. In my days of woe and fear. Will His anger never cease? Will He not renew His peace? And thy soul is sad to death. Zion, thou art dear to Me. That I never can forget thee. He can threaten but not harm. And thy shield is My strong arm. And look down on thee with pity? On My bosom thou art laid. Never shalt thou lack Mine aid.